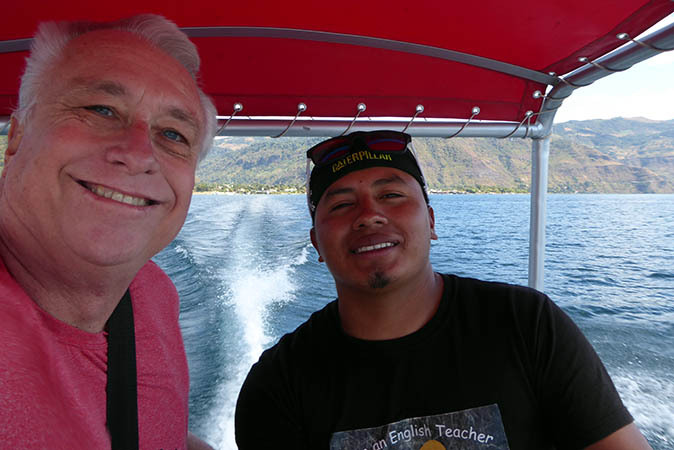 Living in one of the most gorgeous places on earth, Lake Atitlan, Guatemala, is a real discovery. 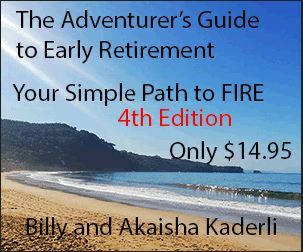 People are friendly, weather is good, price of living is affordable, and the natural beauty is stunning. 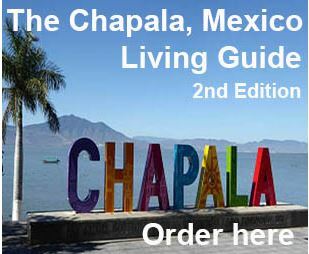 All around the lake are Mayan towns that dot the coast and go up into the volcanic hills. 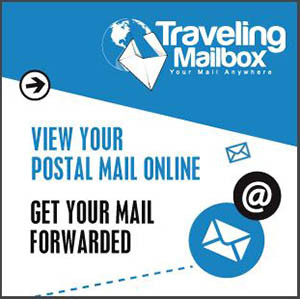 Each town is different for a variety of reasons and they will all capture your heart. 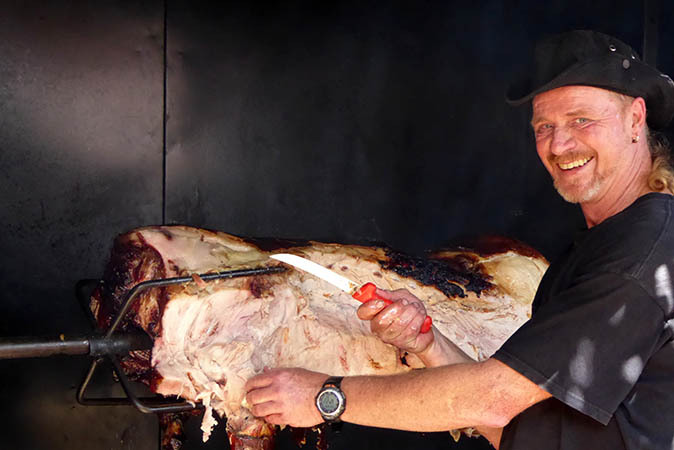 Christmas Day was coming up and we heard that Nestor from Smokin' Joes BBQ was going to do a Christmas Day Pig Roast. Well, we just HAD to go. 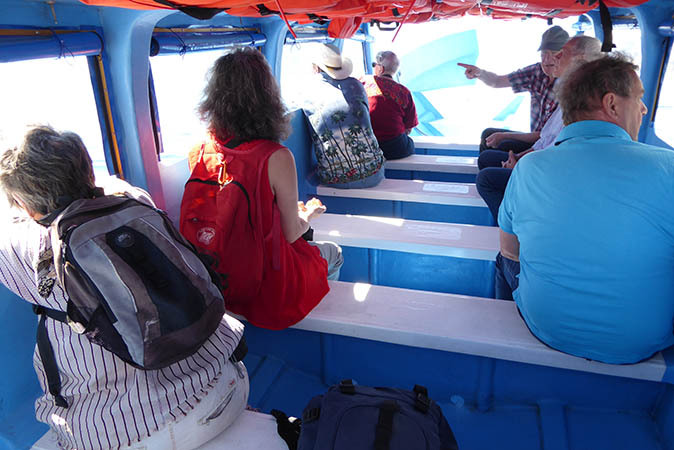 We collected a group of friends, hired a private lancha and headed to San Pedro for the feast. 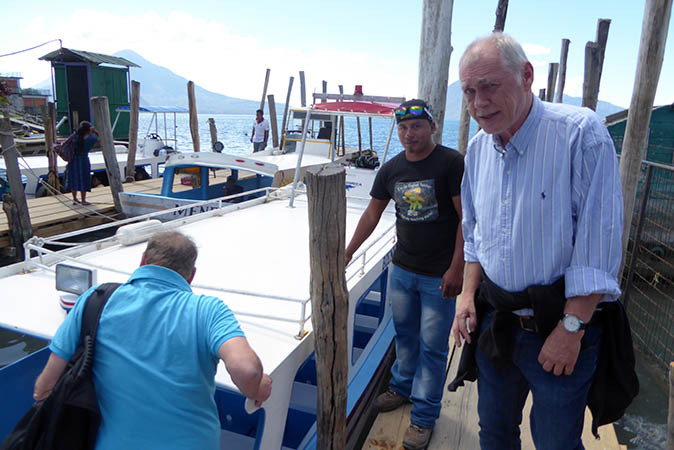 Our friends from Holland, Peter (who is stepping into the boat) and Renzo were looking forward to the BBQ as well. Our boat driver, Andre, is ready to take us. Billy bargained with the Captain for several days to get the right price. 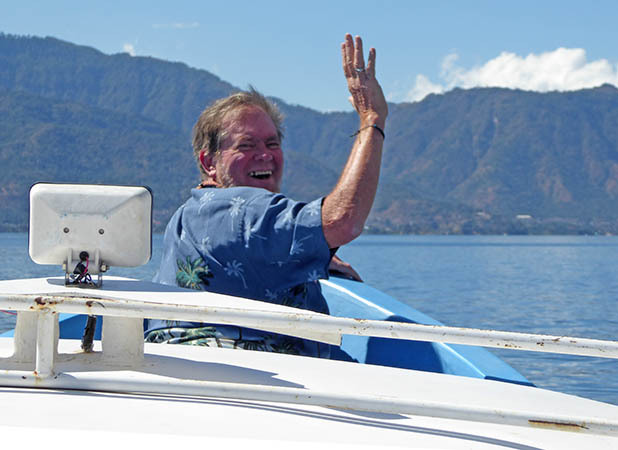 We ended up paying 400Quetzales for him to take us across the lake, wait for us, and take us back. We also promised to buy him lunch from Nestor's. So with the lunch included, the price came to a little over $63USD which was divided by everyone on the boat. The day couldn't have been more perfect. 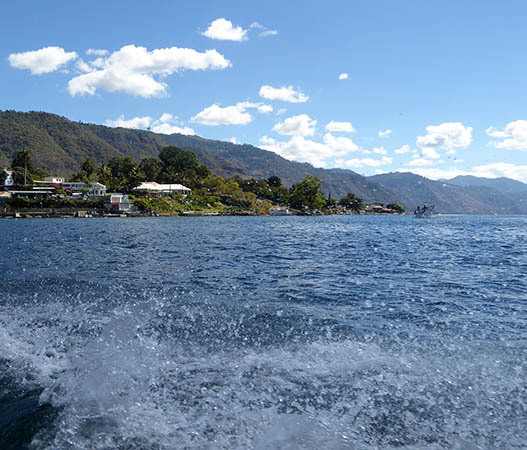 The whole week before Christmas, the winds blustered across the lake and through the town of Panajachel. It was invigorating, but chilly, and it would make the lake choppy when we crossed. We were all hoping for a break in the breezes for Christmas Day. 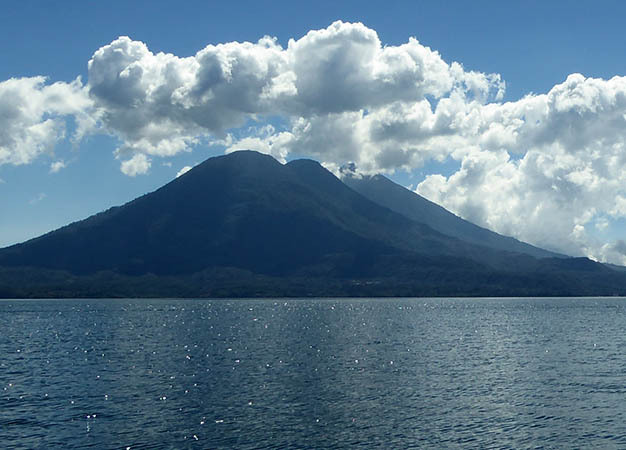 The three volcanoes of Lake Atitlan are clearly seen here, Toliman and Atitlan on the left (one behind the other) and San Pedro on the right. We are headed to the town of San Pedro at the foot of the volcano, a little more to the right, outside the photo. 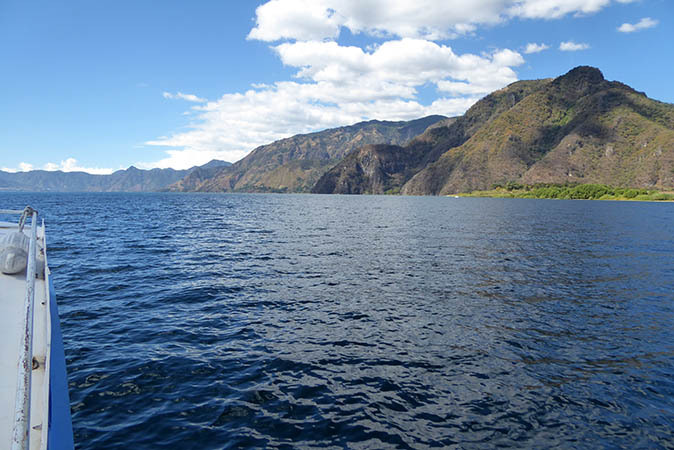 85,000 years ago, the volcano that used to be right where we are boating, exploded fiercely. Magma chambers under volcanoes collect lava before the volcanoes blow, and this particular chamber was so big (about 18-20 kilometers in diameter), that geologists found ash as far away as Florida and Panama. A total of 270 cubic kilometers of volcanic debris was thrown out of the caldera, blanketing Guatemala with ash and rock, 200 meters deep in some places. The eruption has been named the Los Chocoyos event after the birds that now burrow nest holes into the numerous deposits. Billy has always made it a point to know the Captains of boats, the owners of businesses, and whomever might be in charge of any project. In this way, he knows who it is that makes the decisions about anything, and he begins there, at the top. 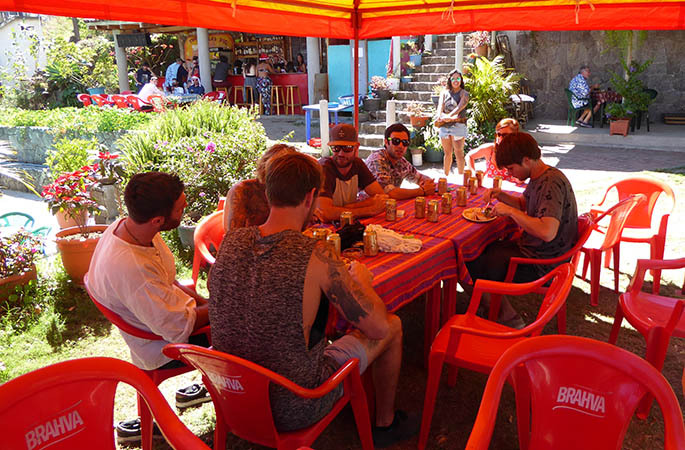 Andres left his family for the mid-afternoon to bring us to San Pedro, and would return with a fine meal to share. Leaving Pana in our wake! Panajachel is right in the center of the photo. 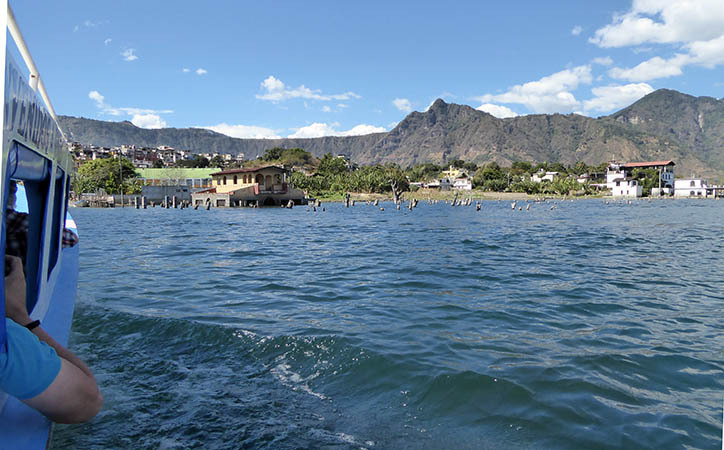 To the left you will see three tall buildings known as The Riviera of Atitlan. Two of the buildings are hotel rooms, and the third building on the furthest left is a condo high-rise. There are manicured gardens, a swimming pool, and excellent views of the Lake. Suzanne and Greg are up front on the left, Ron is speaking to Renzo, Peter is sharing the bench with me, and Diane is sitting right behind me. Of course, here I am pressing an acupuncture point on my wrist for seasickness and keeping my eye on the horizon! I have already used some special natural motion sickness drops behind my ears. Blue, blue, blue. Everything is either blue or white. 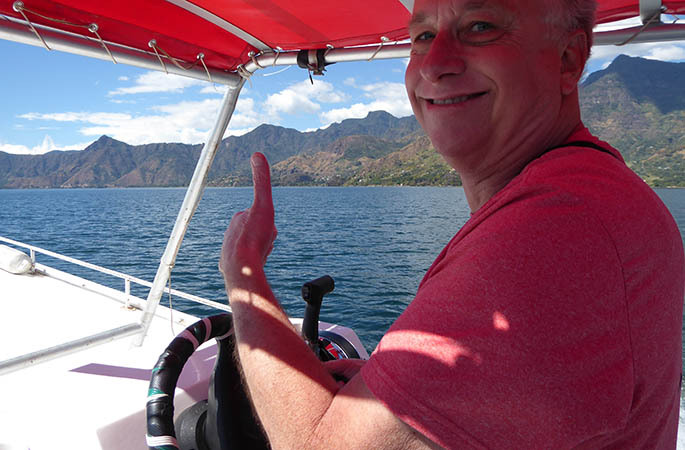 Having the time of his life, Greg is holding down the bow of the lancha as we motor across the lake. 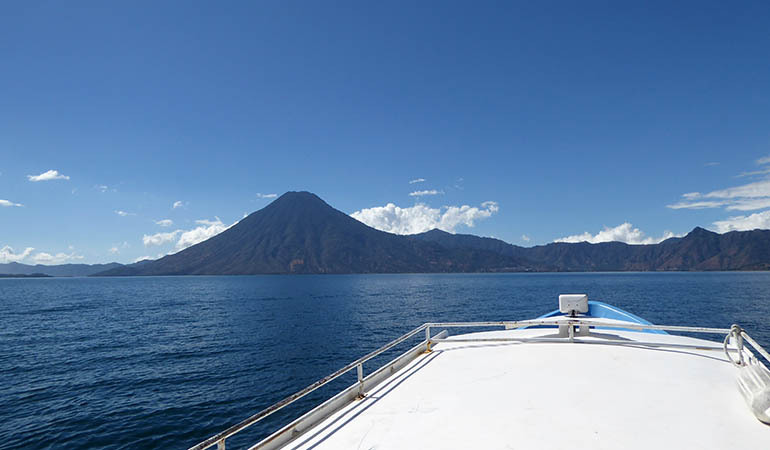 The double peak of Volcano Atitlan, then Volcano Toliman behind it. The foot of Volcano San Pedro begins to the right, outside the photo. The lake water sparkles from the sun. 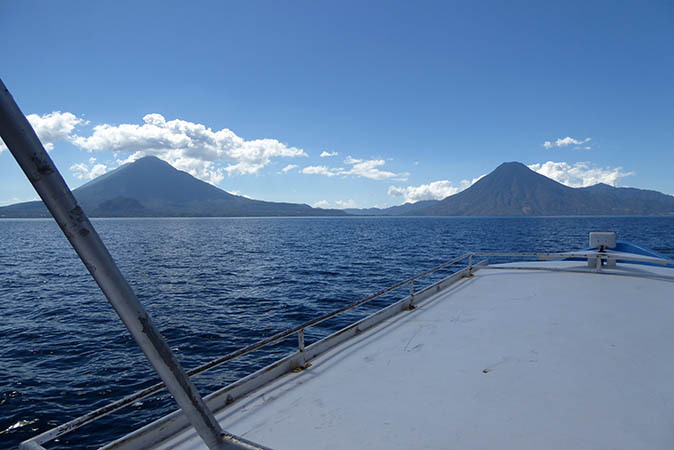 You can see how calm it is at the moment, but on our ride back in the lancha it was like riding a bucking bronco! Billy loves the water and any chance he can get to drive the boat out on the lake, he does. Knowing the Captains, helps! We are entering the town of San Pedro. Over the years, the Lake has been rising, and here in the center of the photo you see a home that is partially under water. This is visible all around the lake - boat houses, what-used-to-be-a-restaurant, sidewalks... all under water. This rising and falling of the Lake happens cyclically. Supposedly, the Lake drains from a large fissure somewhere in the bottom. 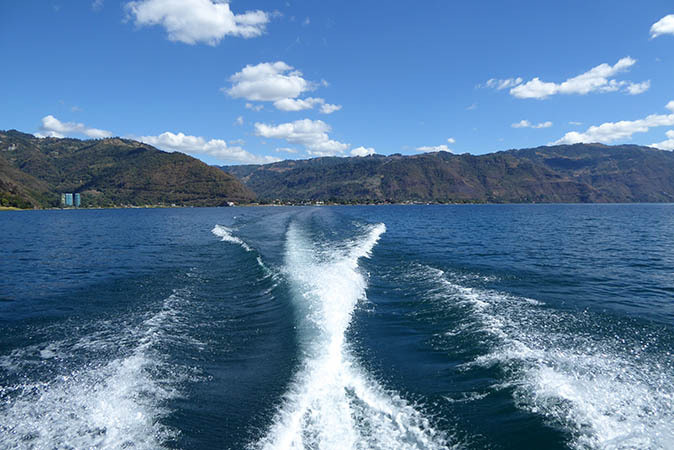 Due to regularly occurring earthquakes, sometimes the crack closes and the Lake rises. The natives just wait until a particular earthquake opens up the fissure again, and the water resumes draining. Meanwhile, during the rising times, floating docks are put in, and structures are halfway under water. We have arrived at the BBQ, and the first stop is to order our meal from LuAnne, Nestor's wife. The meal includes your choice of sides. It's a delicious and excellent deal! It was a hot day with a lot of direct sun. SHADE was at a premium. 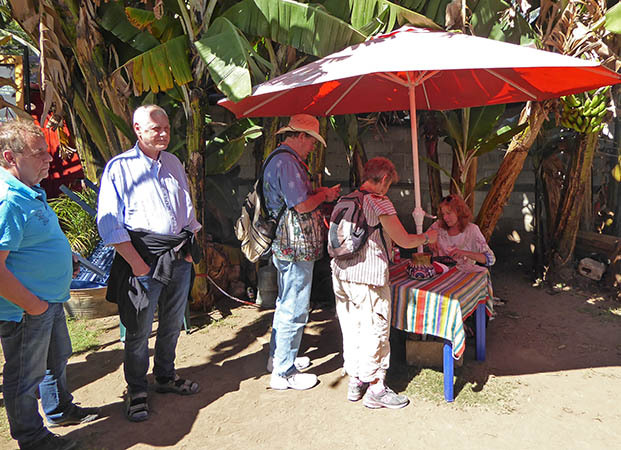 As a comparison to Panajachel, San Pedro is filled with a younger crowd of Gringos. Usually tatted up, with a variety of piercings and lots of stylish and colorful dreadlocks piled high on their heads. The Roasted Pig was the favorite of the day (and was only 65Quetzales, just under $9USD per plate), but you could get pork ribs, beef ribs, filet mignon, grilled chicken breasts with different marinades, hamburgers, pulled pork sandwiches and even grilled Dorado, a local fish. Nestor prepares and ages all of his meats, so they are tender and delicious! 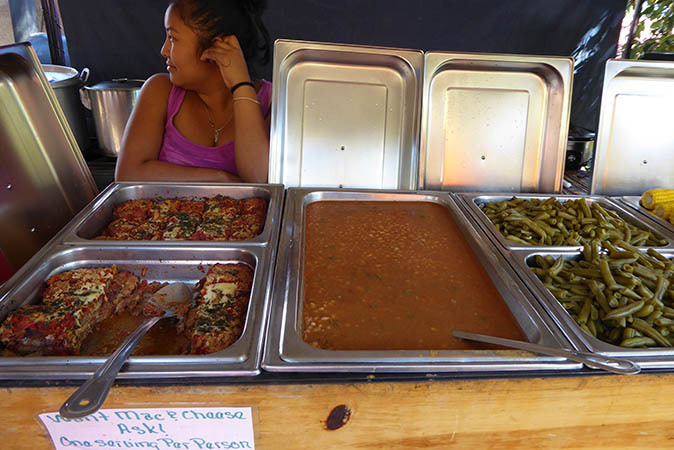 Eggplant Parmesan, baked beans, and steamed green beans are some of the choices of sides you may have with your meal. 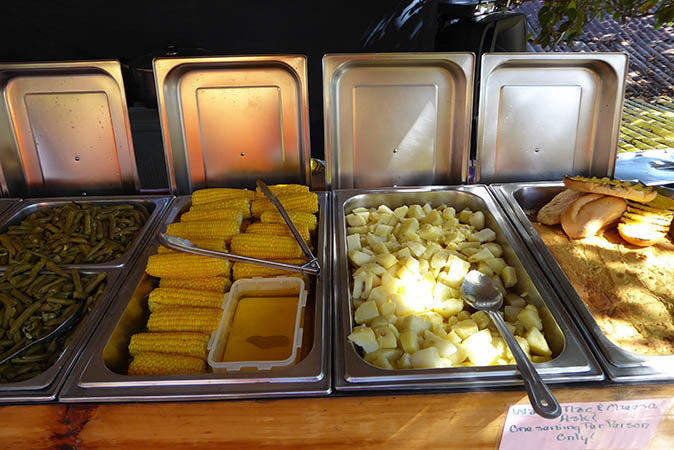 Corn on the cob with butter, steamed potatoes, and either corn bread or grilled garlic bread. You definitely don't go away hungry from Smokin' Joes BBQs! 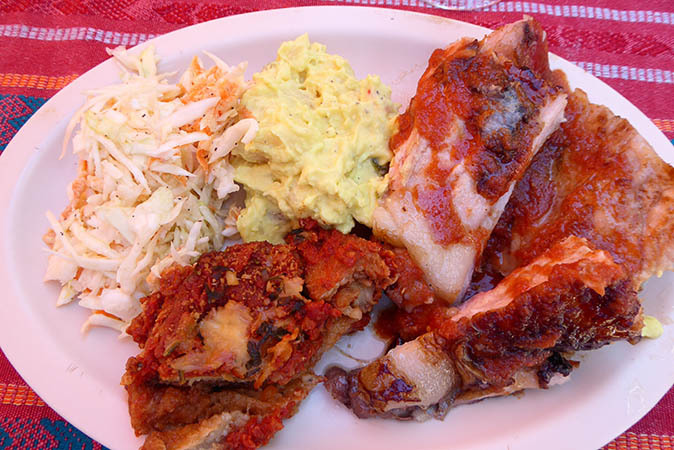 Eggplant Parmesan, Cole slaw, potato salad, and roasted pork with BBQ sauce.